Home / News/Blog / How Much Does a Divorce Really Cost in North Carolina? You may have heard that getting divorced will cost you a pretty penny. 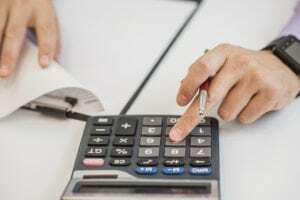 Surprisingly, the divorce itself is fairly affordable, but many of the issues that must be resolved for divorcing couples (like property, finances, and children) can bring added expense. While it may be tempting to follow a low-cost “do-it-yourself-divorce” plan, this could end up hurting you in the long run, particularly if you and your spouse are not on the same page or able to work well together. A great divorce lawyer will make sure you have the very best representation and help you prepare for a stable future. Each attorney’s fees will vary, but can range from $150 to $300 hourly. Keep in mind that these hourly rates apply for all work on your case — from email, meetings, and telephone calls to travel time. You may have guessed that there would be lots of paperwork involved. Your attorney will work on obtaining and copying things like tax returns, bank statements, credit card bills, and other important documents. This labor, plus the $225 cost of filing fees in North Carolina, should be considered. Hiring a professional appraiser is often necessary to fairly divide assets. An appraiser can provide values on real estate, businesses, and even household items and antiques. Depending on how many different types of assets you’re having appraised, the cost can range from a few hundred to a few thousand dollars. While some couples come to a child custody agreement quickly, many don’t see eye-to-eye on this issue. In these cases, an evaluation will be carried out to determine what is in the best interest of the children. Professional custody evaluators are retained to do psychological testing and interviews of the parties involved. The evaluators’ fees, which are paid by the parents, are billed by the hour at rates comparable to an attorney. These costs can climb into the thousands of dollars based on the complexity of the case. So how do I minimize costs? Negotiation: You and your spouse can negotiate directly with each other and have our attorneys draft your agreement into a formal document. Our attorneys advise and coach you client through the negotiation process as you work directly with your spouse to come to an agreement. An attorney can also negotiate on your behalf with your spouse or with your spouse’s attorney. Arbitration: An arbitration is similar to a court trial but it is private and the case is decided by an arbitrator instead of a judge. This process can be faster than court cases which are routinely are delayed by full court dockets where cases are continued and costs mount. Mediation: Mediation is a private process where a neutral mediator helps you and your spouse come to an agreement. You maintain control to decide how to resolve your property, custody, and support issues. You and your spouse can use a mediator with attorneys representing you. You can also use a mediator to help you come to an agreement and then use an attorney to create the formal document to put the agreement in writing. Collaboration: Collaborative law allows you and your spouse to settle your divorce and family law issues through the use of settlement conferences and the assistance of mutually retained professionals like appraisers and financial planners. You and your spouse each have your own lawyer who represents your best interest, but you agree not to use the lawyers in court and work toward settlement together. If you’re looking for a divorce attorney and wondering what your next steps should be, Ward Black Law has a free resource to help. Our guide to Understanding Your Divorce answers common questions and helps you avoid costly mistakes. Call or text us with any questions or to schedule your initial consultation at 1-800-531-9191.